I was very excited when we approached by John from Morans. 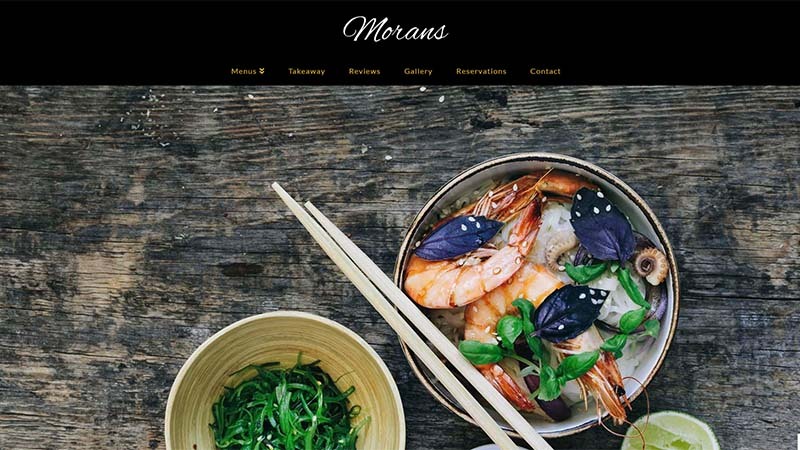 Morans is a Thai restaurant in website in Westward Ho! It also happens to be one of my favourite places to eat in North Devon (their Sunday buffet is amazing!!). They had lost access to their original site and domain name and so needed something designing and building in a very limited time so they had something for their customers to find. I was conscious that from personal experience restaurant and takeaway websites don’t often work very well on mobile devices, the menus in particular are often difficult to access. I created a new website for them using assets I was able to recover from their previous site which was fully optimised for mobile devices and optimised for relevant local searches.